Welcome to the 10 September edition of our weekly ebulletin that contains lots of updates, news and views. If you don't receive this bulletin directly from us but would like to, you can sign up for it here. 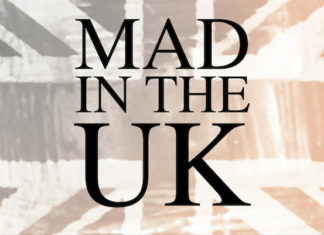 On 6 September, Mad In the UK launched. The website welcomes contributions. See our feature below. NSUN ran a workshop on the 4Pi National Involvement Standards and Kindred Minds Manifesto which HEAR and ROTA have heavily used with their partners in West London (8 Clinical Commissioning Groups). The event also support's HEAR and ROTA's Mental Health Equality campaign. In the open letter ROTA calls on all local Councillors, as well as the VCS and individual campaigners, to commit to the six action points that have been co-authored by Experts by Experience, user-led Voluntary and Community Sector (VCS) and BAMER organisations.See the open letter here. New Mental Health Networks funded by the UK Councils and Research Innovation (UKRI) have been announced. The Networks received a combined funding of £8 million and will bring together researchers, charity workers, health practitioners and people with lived experience of mental health issues. The Mental Health Networks are designed to be interdisciplinary, spanning across a wide range of disciplines including health, medicine, biology, social sciences, humanities and environmental sciences. The Networks stretch across the nation and as they develop will cover further regions. 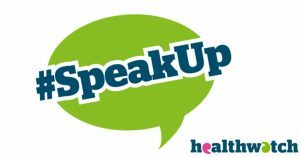 Challenge Sheffield and SODIT work with people with lived experience of mental health distress and used a recent grant from Healthwatch Sheffield to hold the Sheffield Mental Health Challenge Day. They wanted to create a supportive and inclusive space to start to build a network and voice for people living with mental health distress to better influence and improve services over the longer term. Find out more and a link to their report here. 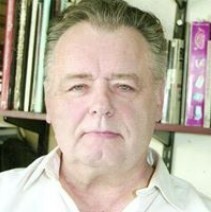 Joe Kelly, who is a Trustee of NSUN, has collected some of his poems on a website called' Words Out from Cafe Church'. ﻿The renowned artist Vincent Van Gogh’s died by suicide in 1890, two months after leaving a mental asylum. Martin Bailey researched his year in the institution. Thursday, September 6, saw the culmination of many months of ‘behind the scenes’ effort with the launch of Mad in the UK. MITUK is one of a growing number of Mad In America (MIA) affiliated sites, including Mad in America Hispano-Hablante, Mad in Asia, Mad in Brasil and Mad in Finland. Acting in concert with MIA, Mad in the UK will carry UK-specific content and provide a voice for UK professionals, service users/survivors, peer activists, carers, researchers, teachers, trainers, lawyers, journalists, volunteers and others who are working for change in the field of what is usually referred to as ‘mental health’. Mad In the UK welcomes contributions to fill its recently launched website: bloggers, commentators, and people wishing to submit events or couses are invited to get in touch. Please visit Mad in the UK's website. The Echo Society are pleased to announce the launch of their next campaign project as part of the narcissistic abuse matters campaign UK #NAMUK: Survivors Creative Works. They would like to feature any of your works that you created as a way to cope with narcissistic abuse. They are looking for drawings, paintings, poems, short prose, sketches, doodles, graphic design art, songs etc. and this will be featured on social media (Facebook and Twitter). By doing this they aim to highlight the impact narcissistic abuse has on lives of those impacted and encourage public debate. 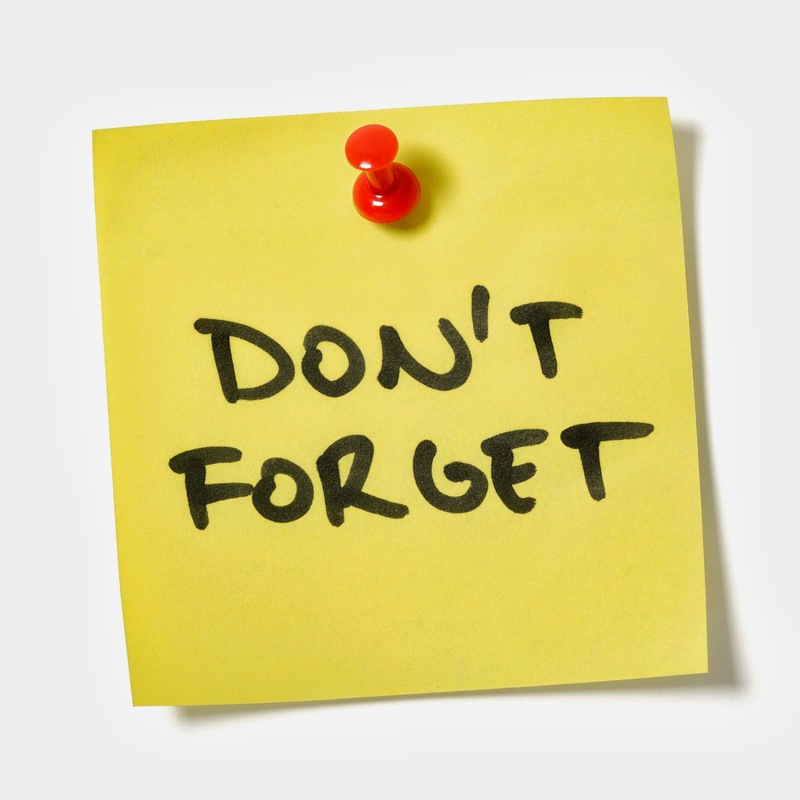 Work will be posted anonymously or first initial and county only (i.e. E, Kent) with a brief description of under which circumstances the work was produced. No one will be identified. Blackfriars Settlement offer a wide range of services and activities, supporting people to achieve their goals and improve their well-being. 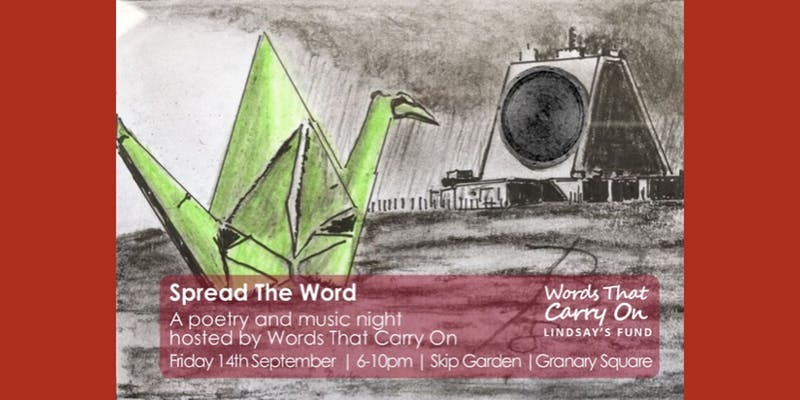 Join Words That Carry On, a fund dedicated to commissioning vital research on personality disorders, autism and complex mental health needs, for an end of summer poetry and music night at the beautiful Skip Garden in Granary Square. The evening will include live performances, poetry workshops and pizza as well as the opportunity to have your say on the fund's research priorities. 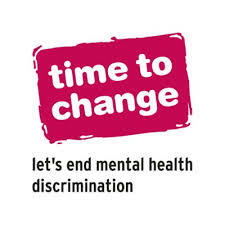 Time to Change are looking for an organised ‘people person’ who has personal experience of mental ill health and associated stigma and discrimination and is now ready and able to use that to embed Time to Change as a sustainable campaign in the North East, Yorkshire & Humber. You will join seven peers already working in other regions of England, and eight other team-mates, including your manager, who are based at Mind’s HQ in London. The role is based at home with most management and support delivered by email, phone and Skype and occasional face-to-face meetings. To structure your days, deal with setbacks and manage competing priorities, you will need to be motivated, able to work on your own initiative and adaptable to change. Agenda is an organisation which ensures that women and girls at risk of abuse, poverty, poor mental health, addiction and homelessness get the support and protection they need. Agenda's new report #WomeninCrisis is out - it looks at how the #MentalHealthAct can be detrimental to women, and the devastating impact that has, including alarming numbers of self-inflicted deaths. DNS has found out that the Department for Work and Pensions (DWP) is refusing to release evidence that would show how many secret reports it has compiled into the deaths of claimants of its new universal credit, in a fresh breach of freedom of information laws. This week, DNS paid tribute to Juliet Marlow, passionate activist of Not Dead Yet UK. 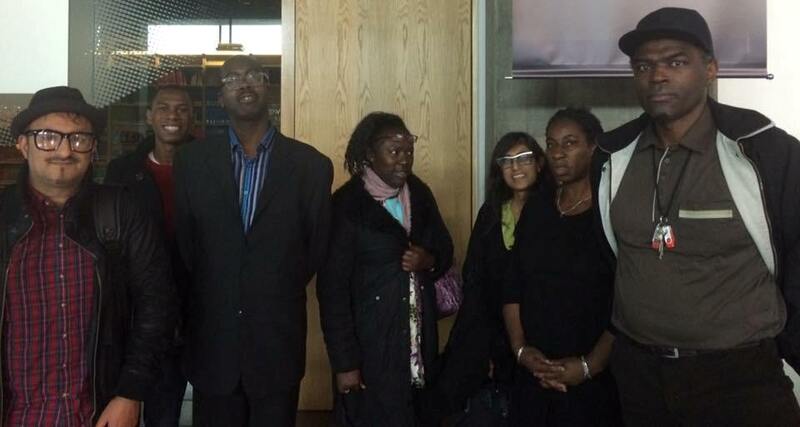 DNS also approached activists for their views on the planned mental capacity and liberty deprivation. The bill ‘will take disability rights backwards’ and it must be delayed. The Guardian have revealed that author Ian Rankin, London mayor Sadiq Khan, broadcaster Stephen Fry and DJ Lauren Laverne are among 130 signatories to a letter calling on the nation’s media to lead the way in transforming how suicide is covered. The Guardian also report on guidance from Universities UK and charity Papyrus seeks to halt rise in student suicides. Why The Media Should Drop Head-clutching Photos As Their Go-to Representation Of Mental Health: People with mental health problems look as diverse as the society we live in - not like some hybrid of Eeyore and Edvard Munch’s The Scream. The Independent finds that there has been a significant drop in male suicides – but we still need to talk about men’s mental health. Members of the Lords, idiscussed the key principles and purpose of the Mental Health Units (Use of Force) Bill during second reading, on Friday 7 September. The amendments are now under consideration and a date will be announced for the committee. The Secretary of State fo Health and Social care gave a technology focused speech at NHS Expo 2018. Speaking at the NHS Health and Care Innovation Expo conference, health minister Lord O’Shaughnessy announced the initial technology partnerships Code of Conduct for Data-driven Health and Care Technology.